To sell your home quickly you will need to present it to potential buyers in the best and most favorable light. Staging is an effective and clever way to do it. Really it’s just good marketing. It’s presenting a home at its best. When prospective buyers come to look at your property they should be able to imagine themselves living there. It can give them an idea of how the different spaces in the house can be used to their best potential. Staging can provide an inviting and pleasing feel to the property, which encourages prospective buyers to feel like this is a place they would feel good about themselves if they lived there. We asked a leading Penticton real estate staging professional to share some insider information on how staging can help a home sell. According to the most recent statistics, properties that are staged sell more quickly for more money. Potential buyers are more likely to overlook the shortcomings of a staged property. It is obvious why many sellers use staging as a competitive edge over other similar properties in the area. Because it works! The first and foremost step of preparing your property for viewing is to clear up the clutter. One of the best ways of removing clutter is to get rid of the extra furniture and keep what is necessary and in good shape. Even putting your extra furniture down the basement will help. Removing furniture gives the appearance of more space. If your furniture is pushed against a wall, consider floating it away from the walls to give the illusion of more space. Reposition comfortable chairs and couches into conversational groups to make it look more inviting and friendly. It is common for houses to have spare rooms that end up serving as storage where junk is stored. 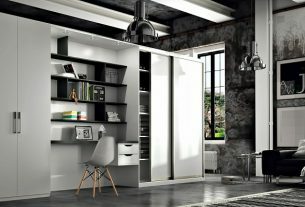 It is a waste of a room that can be used to its fullest potential by de-cluttering and adding a desk for an office or an armchair and bookcase for a library. One of the best ways of making a house look warm and inviting is through lighting. Make sure that the rooms are lit adequately by increasing the wattage of the blubs. A good benchmark is 100 watts for 50 square feet. Experiment with ambient, task and accent lighting. A smart way to make the house look more substantial is to paint the walls the same color. Create a sophisticated look by matching the color of the walls to the drapery. Neutral colors have the most appeal. Stay away from bold colors and wall treatments. Most buyers are put off if they are required to do too much work to personalize the place when they move in. A great way to bring color and textures to a neutral room is to use art and wall hangings. Hang wall art at eye level to create a look that is easy to remove. You can also incorporate indoor plants and flowers to give the room a fresh and more inviting look. Experts suggest following the three number rule for colours when decorating because it is more pleasing to the eye. Grouping colors, shapes and textures is also a technique that can look very pleasant. Windows and door bring in natural light to the house, so make sure they are clean. Wash them to ensure that they are dust and pollen free. It will also give the exterior of the home a better look. If you want prospective buyers to get an excellent first impression of your home then it’s good to clean and freshen up the exterior of the house. Make sure your driveway, front yard, and porch are all-clean and litter free. Consider repainting exterior walls if they are not looking their best. Manicure the lawn and tend to the plants and trees. Make your porch look inviting by adding porch furniture such as a bench. Clean the bathroom until it’s spotless, and make sure your tiles are looking shiny and clean. Nobody will be comfortable in your home if you bathroom is not absolutely clean. Add inexpensive accessories like matching towels, candles and decorative baskets to give it a spa-like feel. 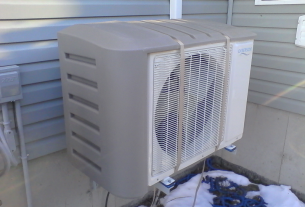 What are the Types of Heat Pumps Available in the Market?